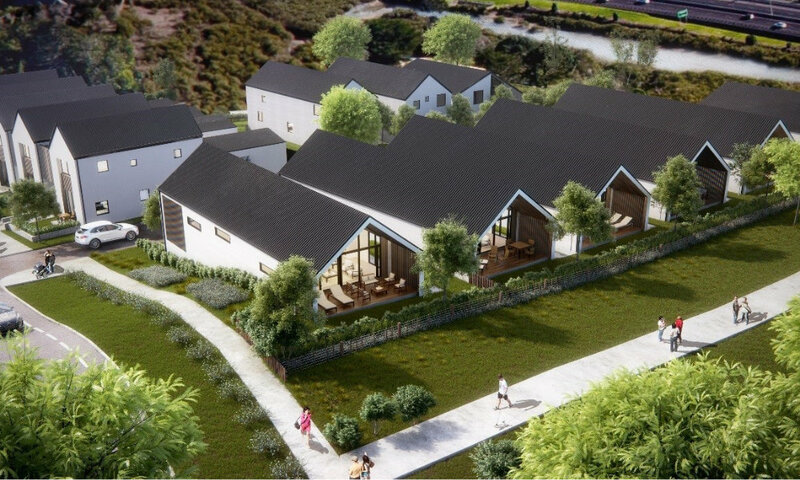 S6 Sunderland is a development in Hobsonville Point with four different typology houses, a total of 14 houses. It comprises of standalone houses and Type B are terrace houses. All units are two level houses and the structures comprise of engineered timber and structural steel. The foundations generally use rib-raft floor slab, with Type A having a mix of rib-raft floor slab and timber piling subfloor. Type B - Rib-raft floor slab during construction. Type A - Framing during construction. Type C - Upper level framing during construction. Type D - Garage lintel and framing during construction.